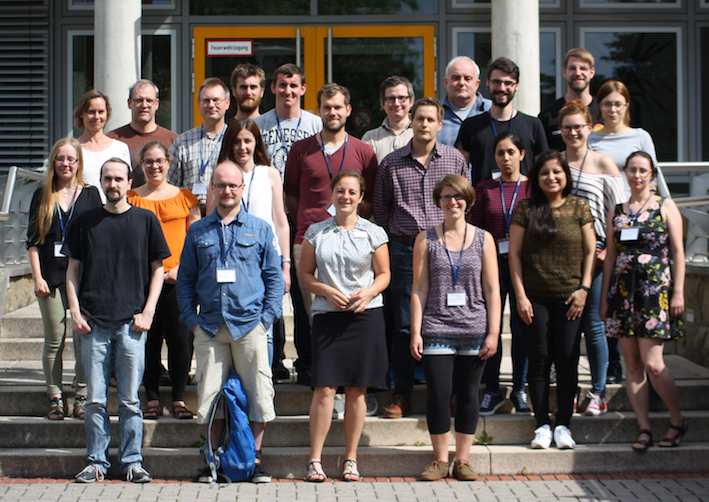 Review 2017: The 5th International Workshop on Prokaryotic Genomics & Bioinformatics took place from 18-21 July 2017 at the Department of Genomic and Applied Microbiology of the Georg-August University Göttingen. The course provided an introduction to the methods and tools used in functional (meta)genome analysis. The major topics that were covered included sequencing technologies, genome annotation, comparative genomics, RNA-Seq as well as metagenomics/metatranscriptomics. The course combined theoretical lessons with computer exercises using state-of-the-art bioinformatics tools. The Goettingen tutorial team was supported by excellent external lecturers. The Goettingen tutorial team was supported by excellent external lecturers: Dr. Andrea Thürmer from the Robert Koch Institute Berlin, Dr. Boyke Bunk from DSMZ Braunschweig, Dr. Jochen Blom from the University of Gießen and Prof. Dr. Cynthia Sharma from Würzburg University, who ensured an interactive and entertaining wind up of the workshop. The course is designed for beginners with strong interests in the uses of NGS data, annotation, comparative and functional genome analyses, as well as metagenomics/metatranscriptomics. Postdoctoral scholars, and advanced graduate students are encouraged to apply for attendance.